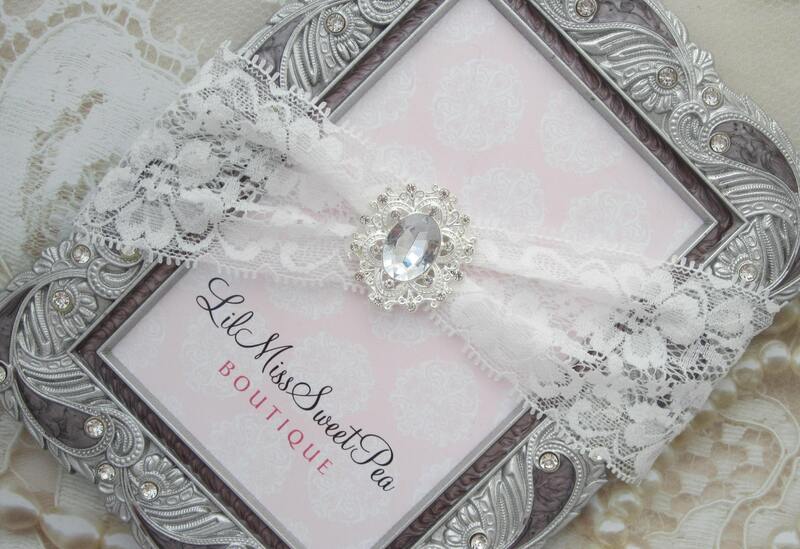 Stretch Lace Rhinestone Headband perfect for weddings, bridesmaid, bride, party, teen, adult, newborn photo prop and just to feel pretty everyday!! This 2 inch stretch lace is not as stretchy as our usual soft stretch elastics so the sizes are a little larger than other headbands. If you do not know the size, make a note in notes to seller with the age of the child and we will make it the appropriate size. Thank you so much! Perfect!